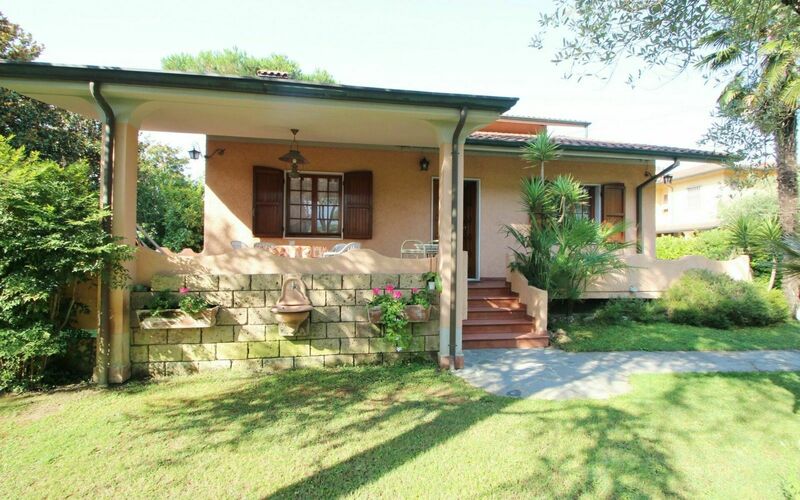 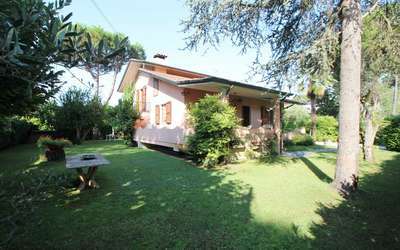 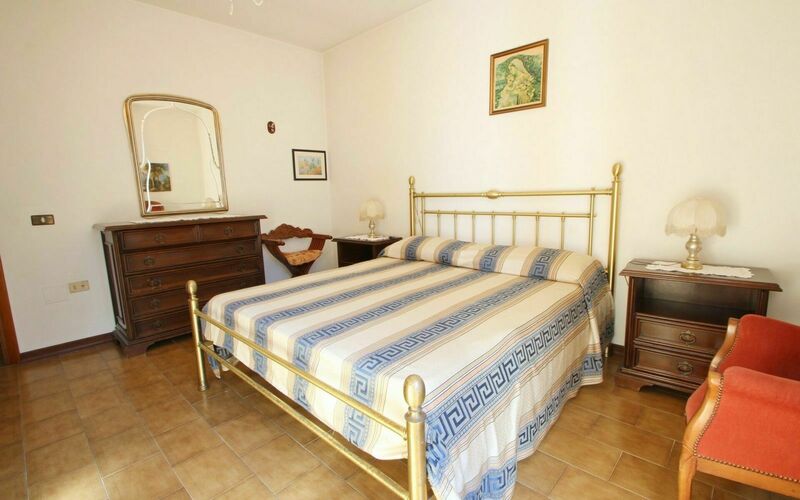 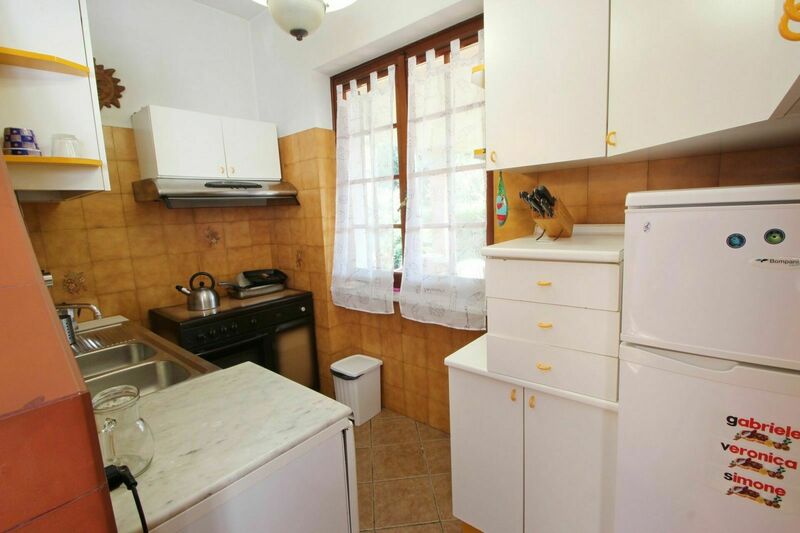 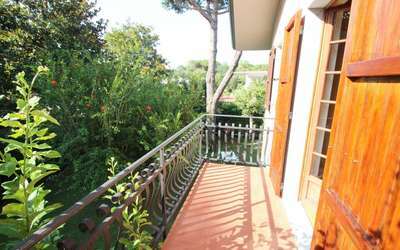 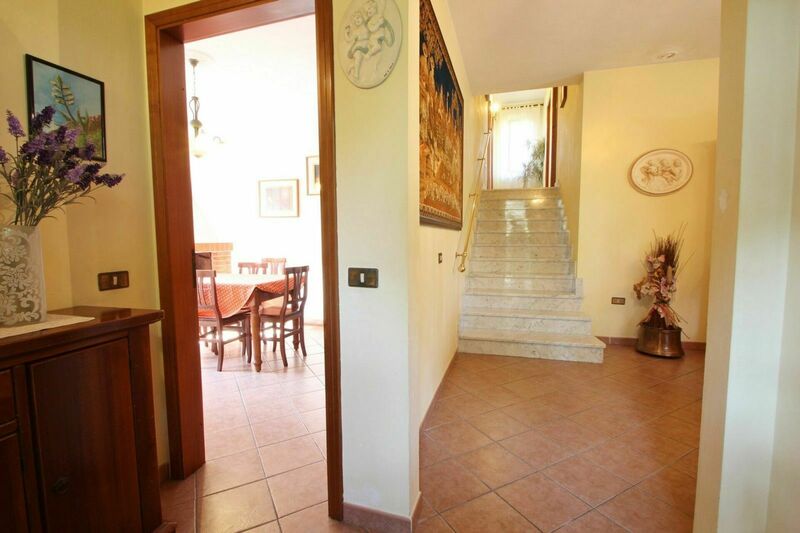 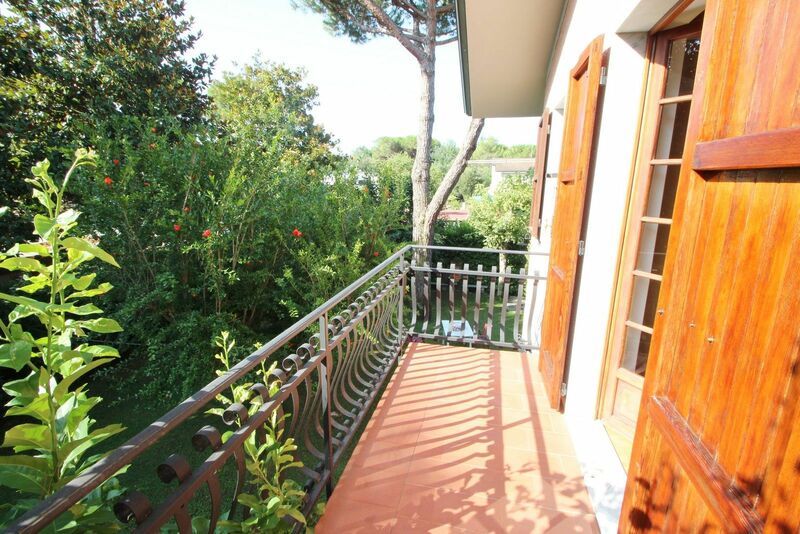 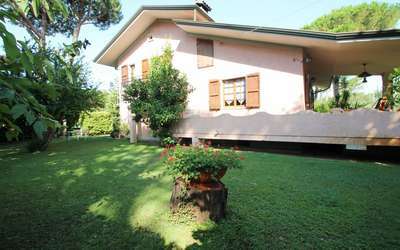 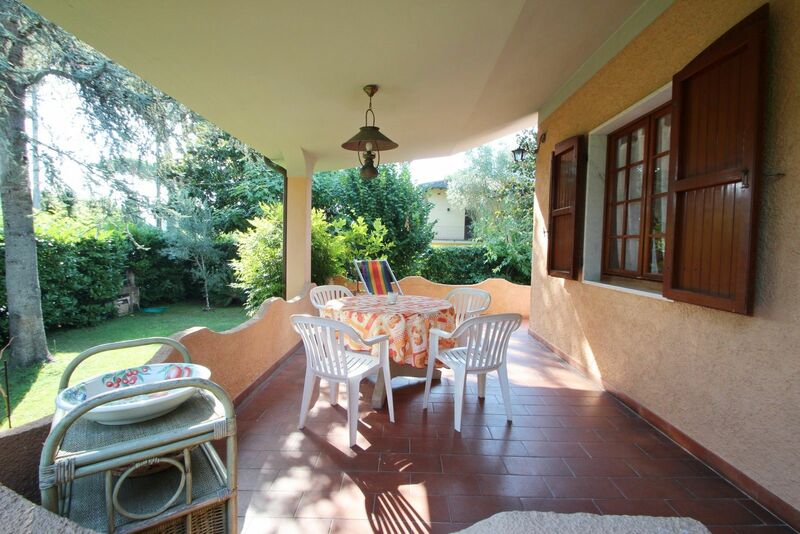 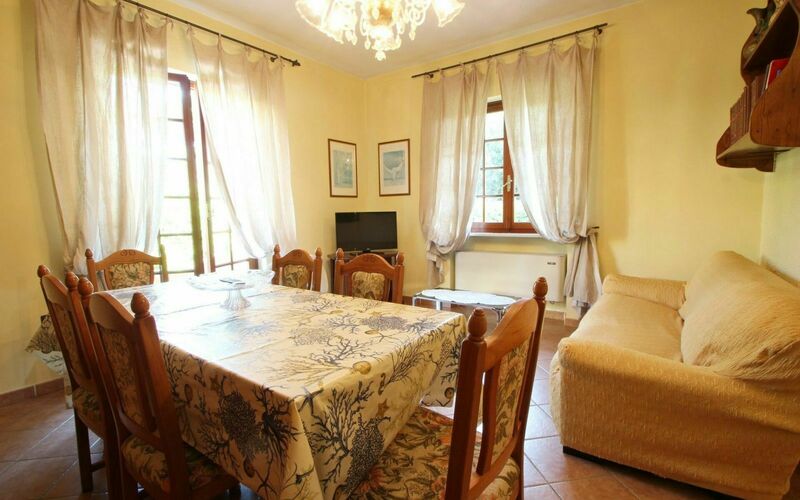 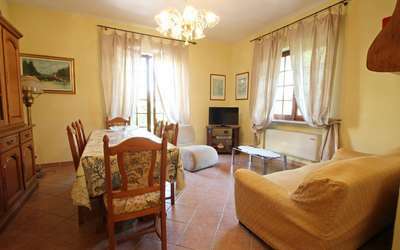 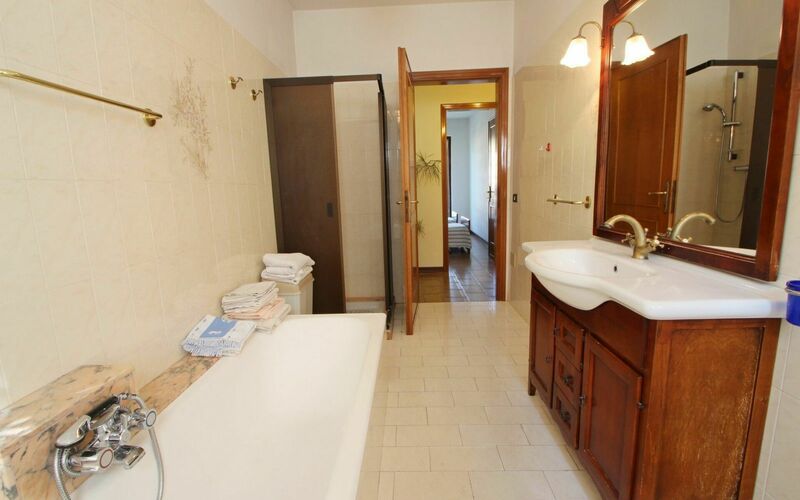 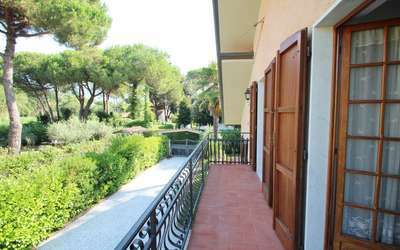 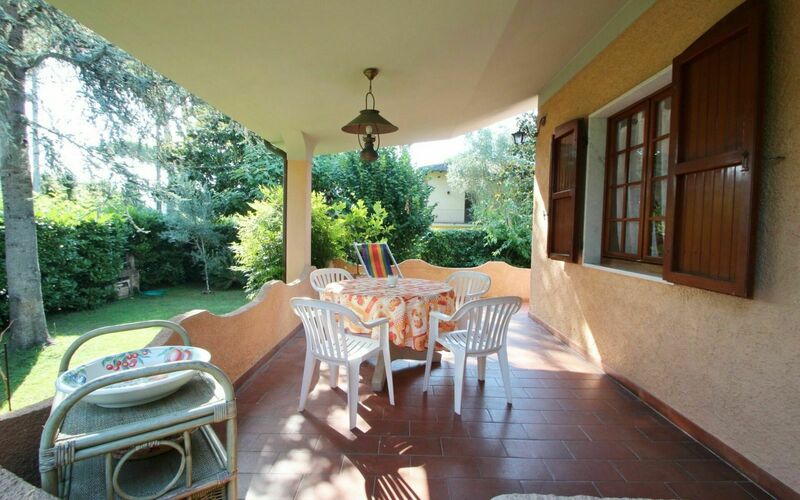 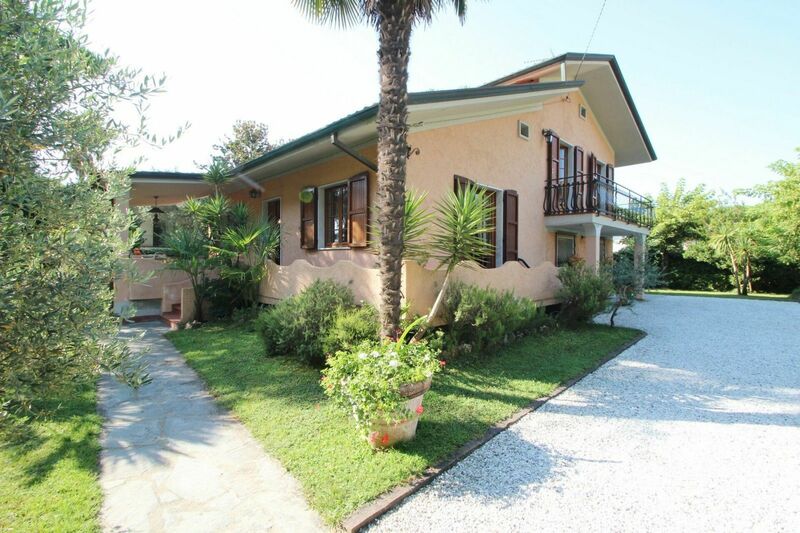 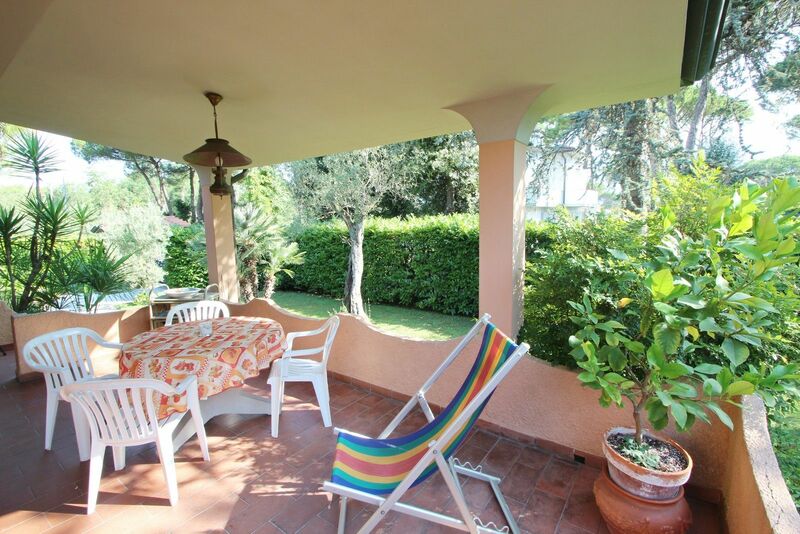 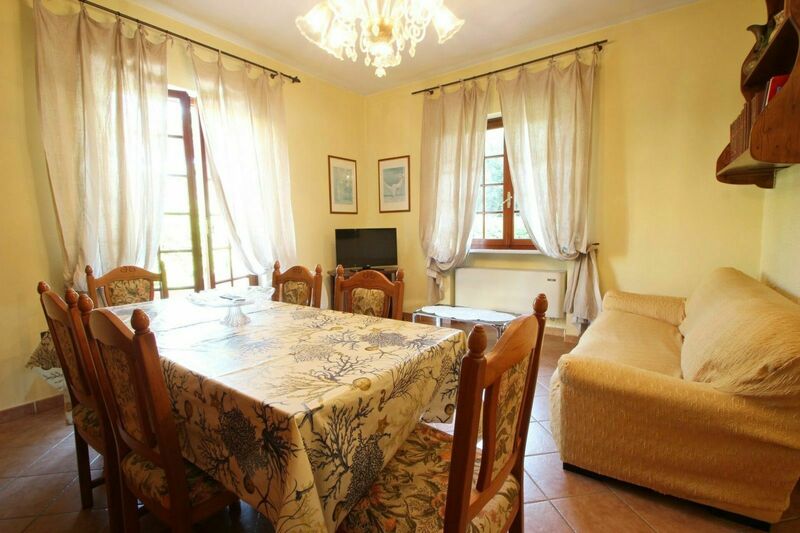 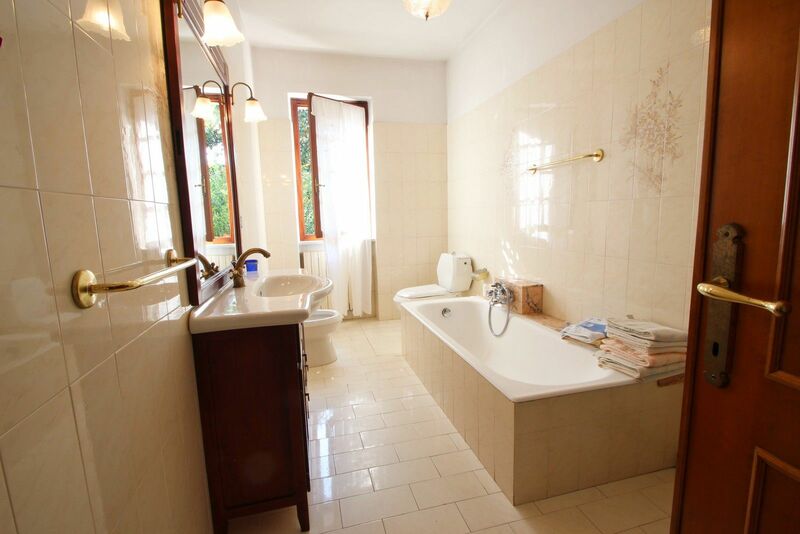 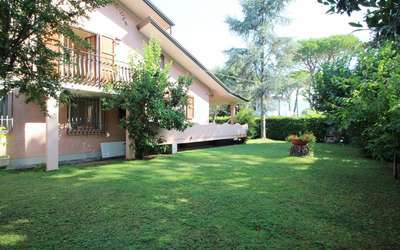 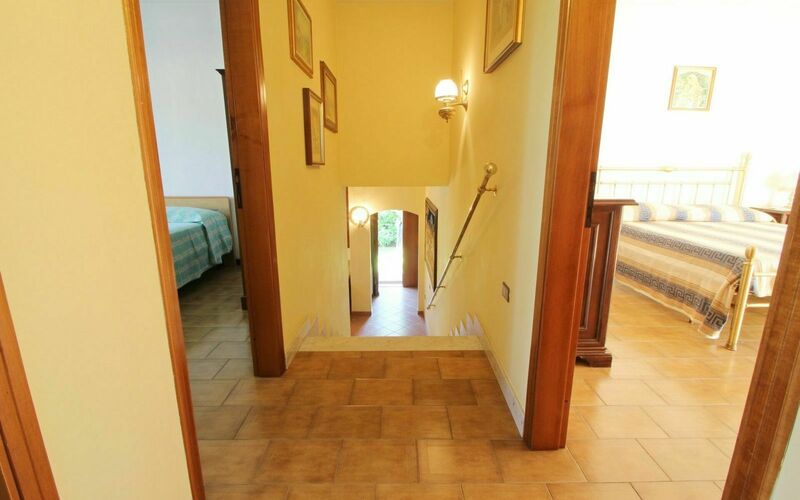 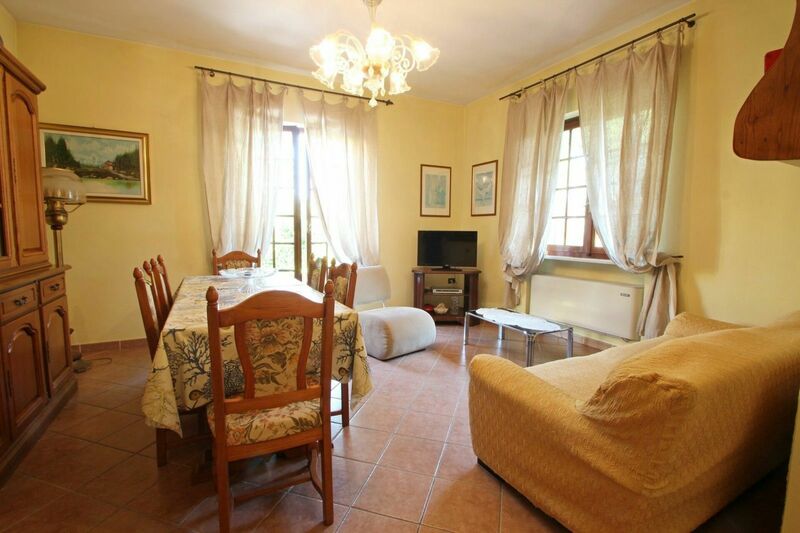 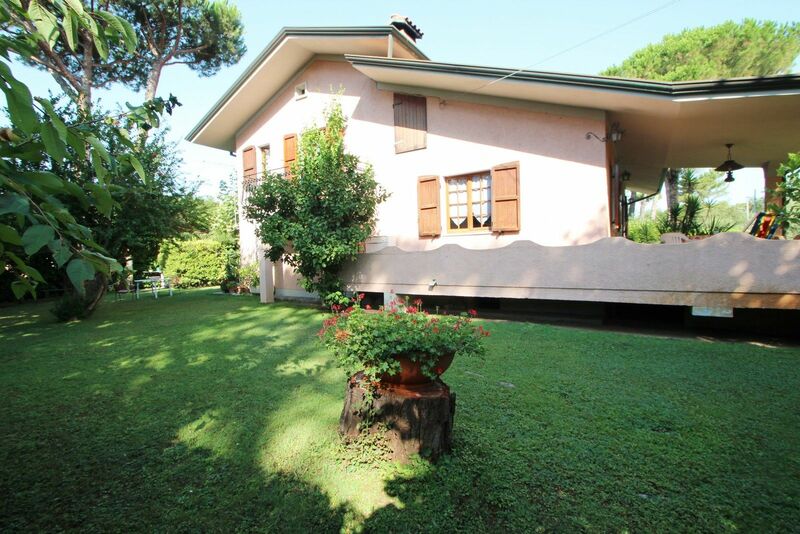 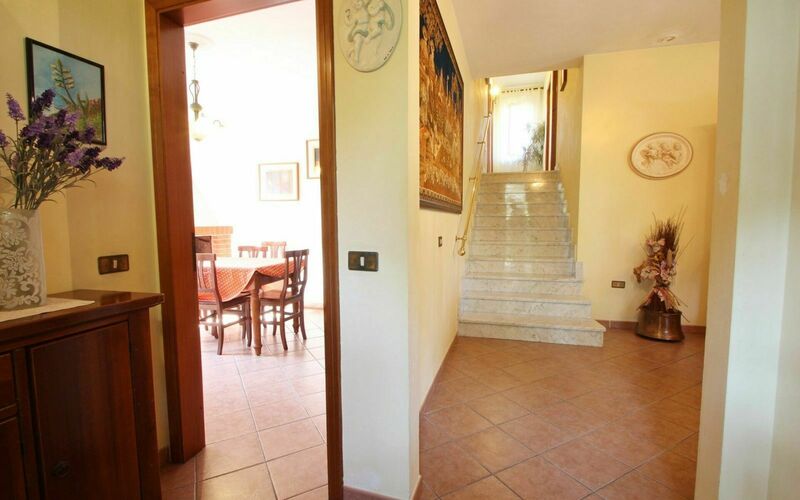 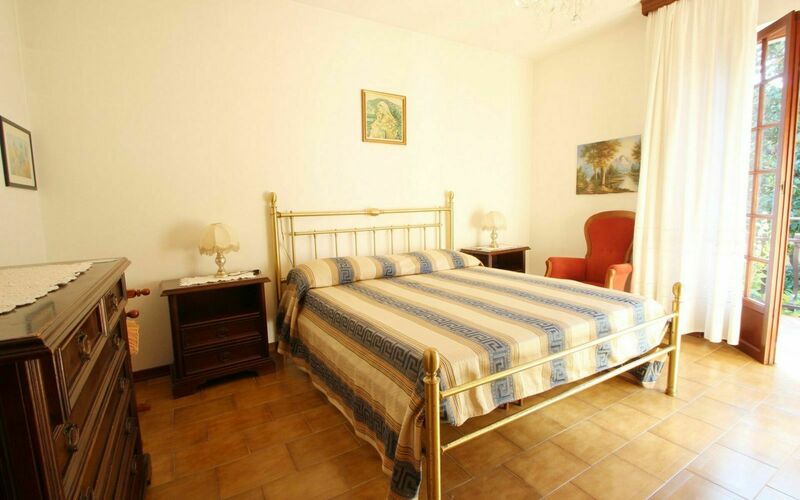 Holiday Home in Poveromo / Ronchi of Marina di Massa, on the coast of Versilia, Tuscany. It is located about 950 meters from the sea in a quiet and green area ensuring relaxation during your vacation. 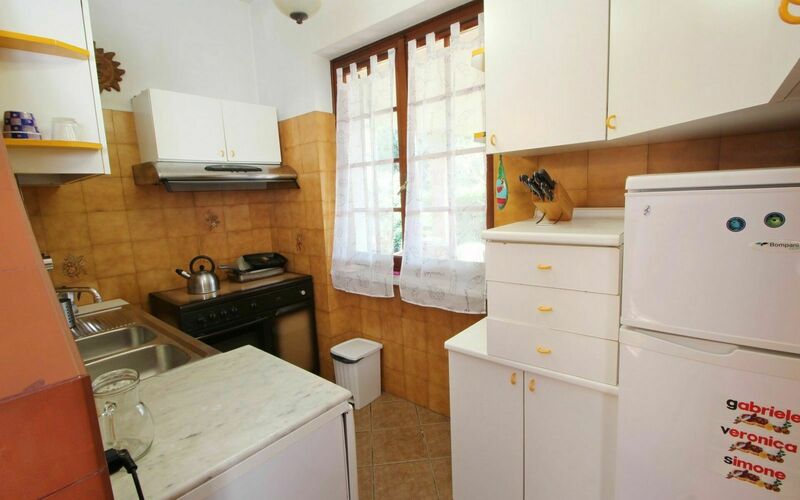 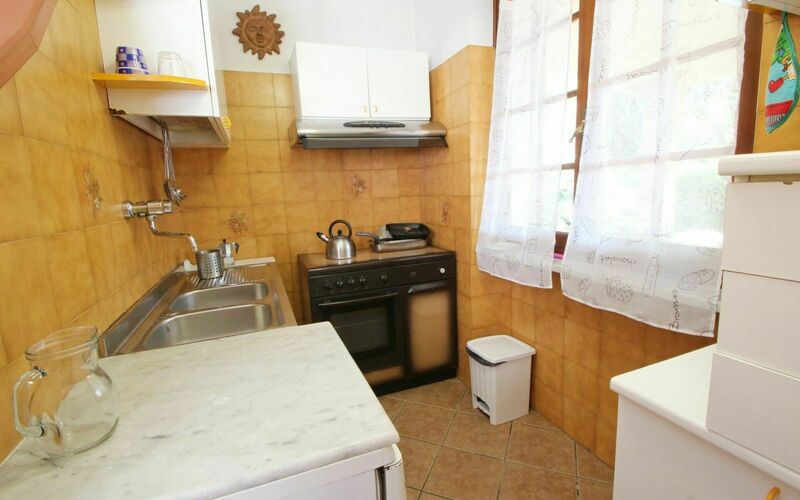 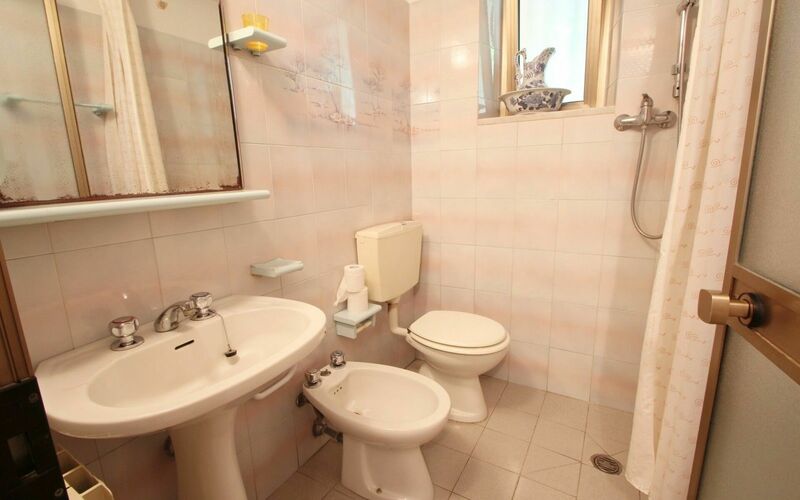 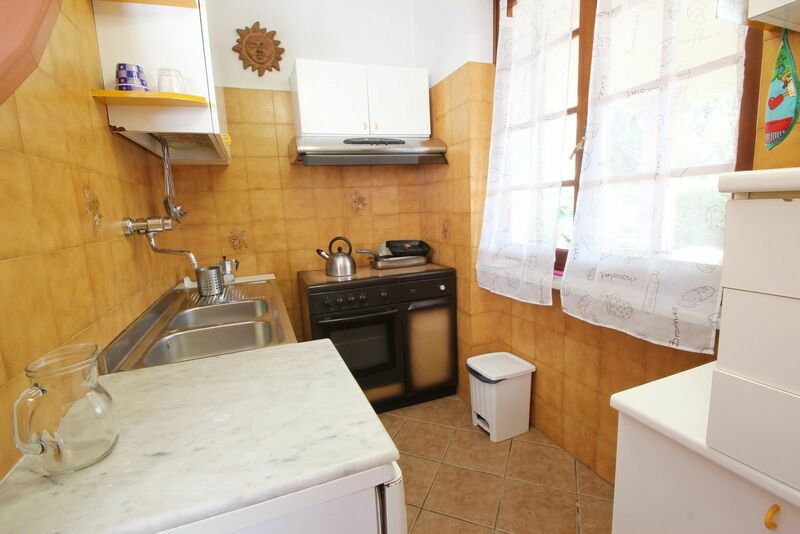 It has a garden, partly private and partly used by the owner who lives in the back. 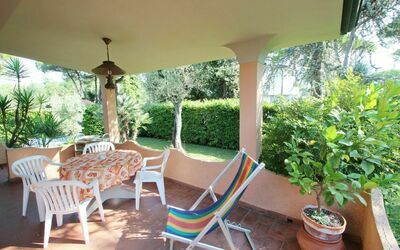 In the garden you can sunbathe and let the children play. There is a large covered terrace with table and chairs for outdoor dining and enjoying the meals cooked on the supplied barbecue. The entrance is via gated driveway with two parking spaces within. 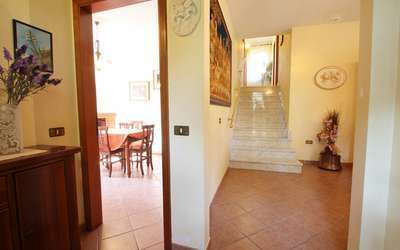 The owner uses the same entrance but will not disturb the guests. Ground floor: Living room with sofa, TV, dining table for 6 persons. 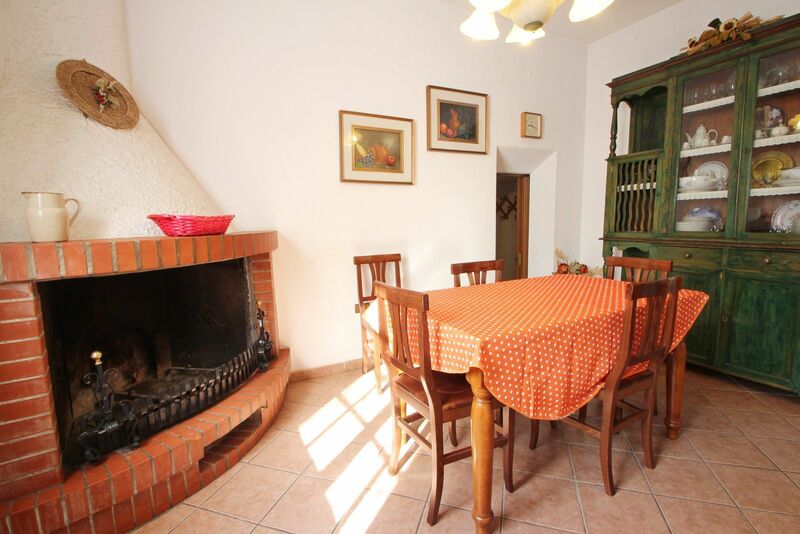 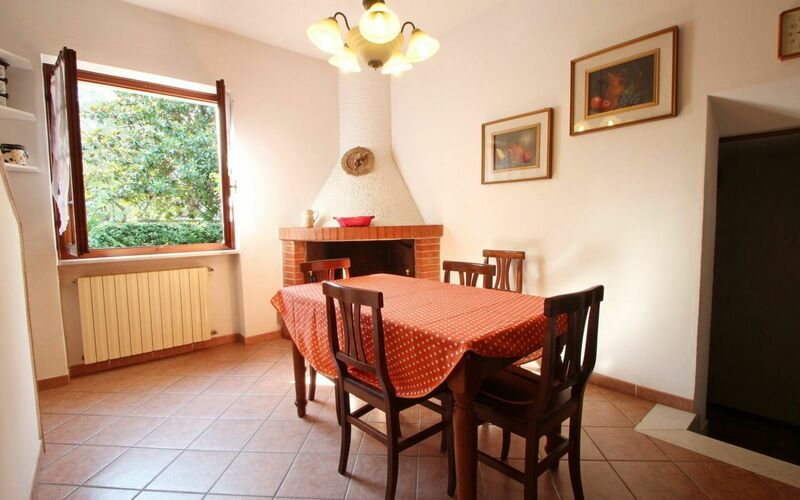 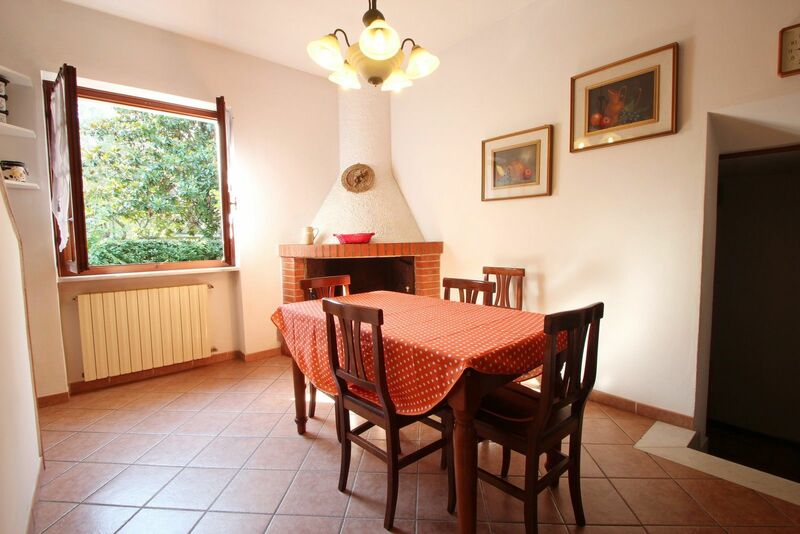 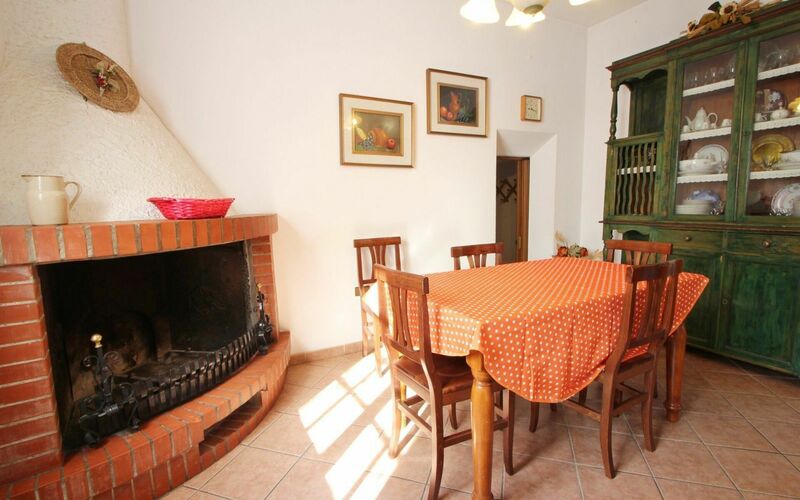 Dining room with dining table, fireplace and adjoining kitchen with oven, stove and dishwasher. 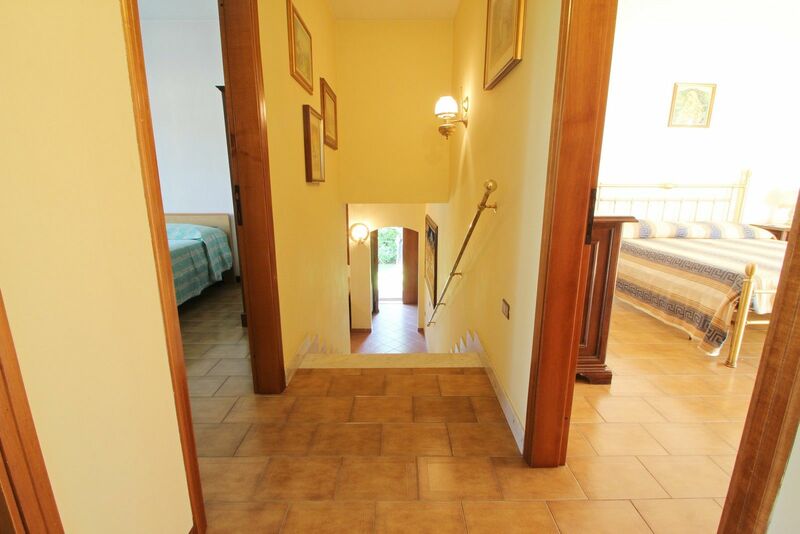 A few step lower is the laundry room with washing machine and a toilet with shower. 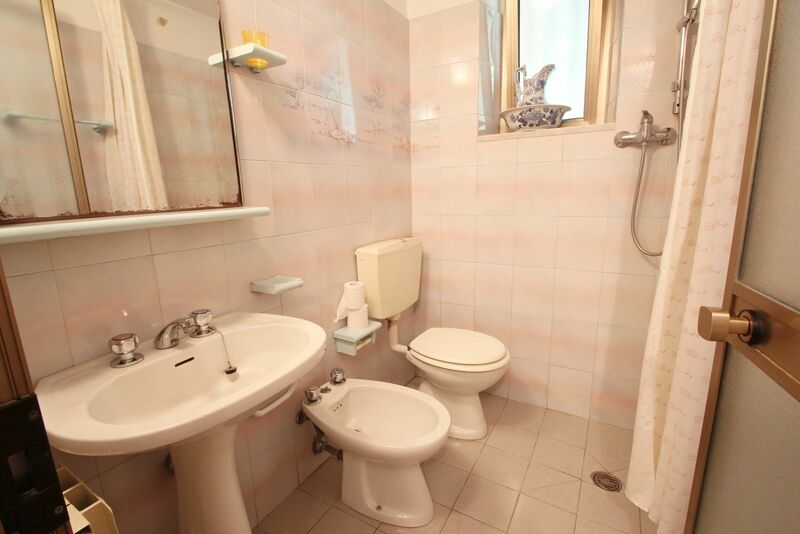 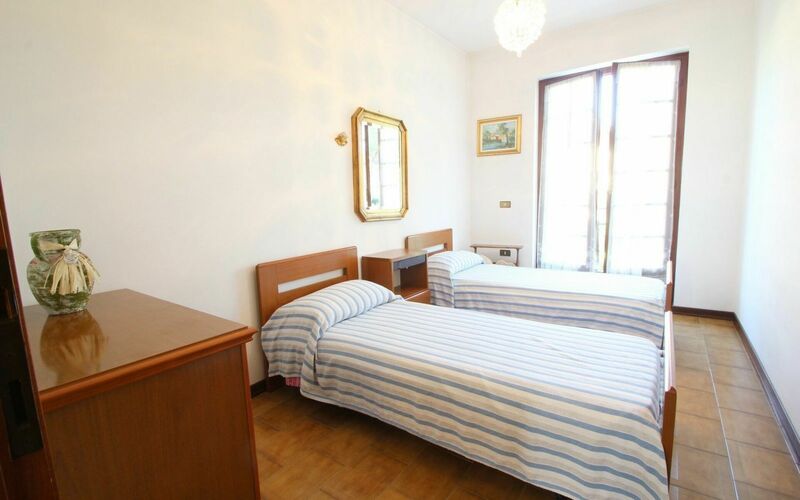 - Two bedrooms with 2 single beds and a balcony. 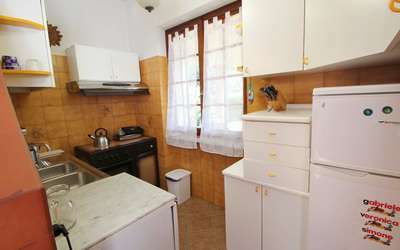 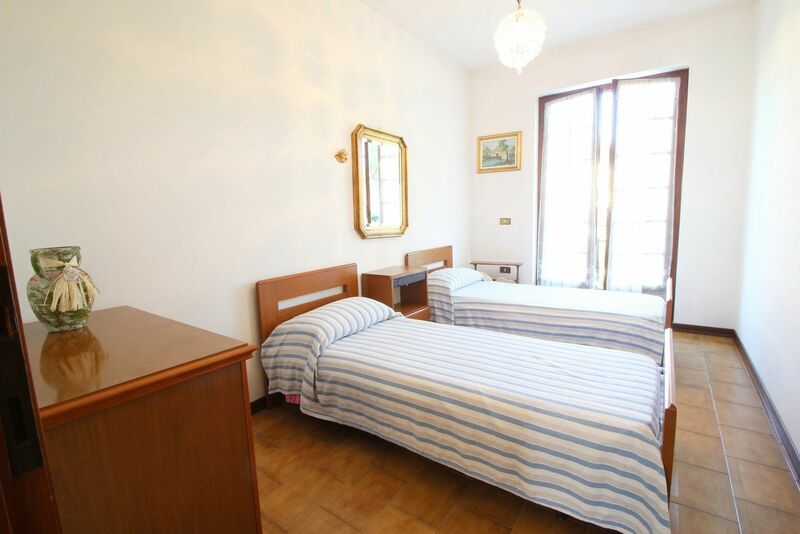 - Double room with balcony. - Bathroom with bath / shower.